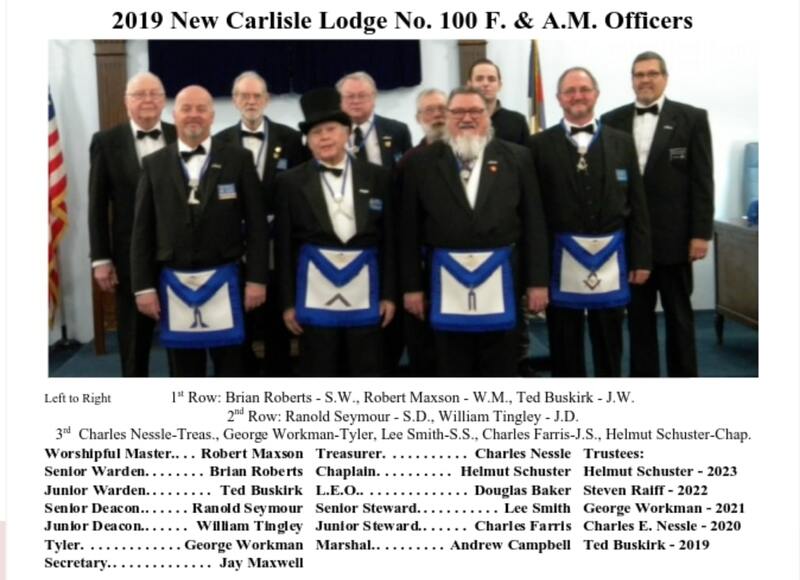 Originally known as Washington Lodge, but dark during the late 1830s and 1840s, New Carlisle Lodge #100 received its current charter in 1850. Our reverence for the “Father of Our Country” continues to this day. R.W.B. Dennis L. Myers, P.D.D.G.M. of the Ninth Masonic District, K.Y.C.H.